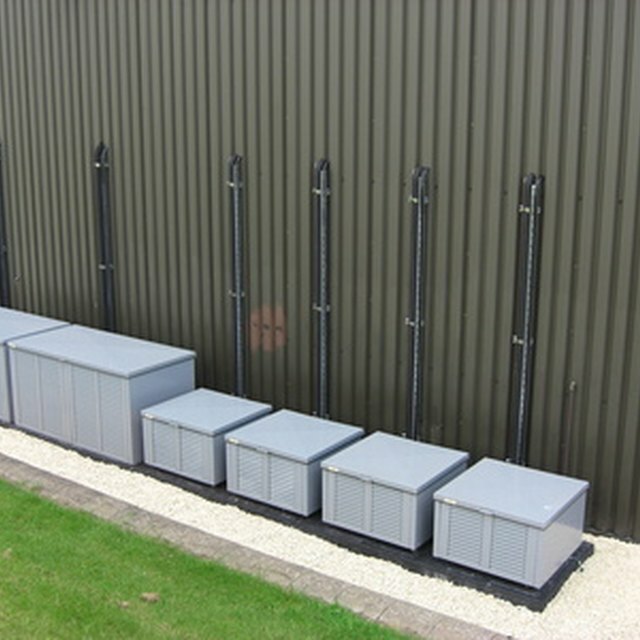 Trane produces a wide variety of quality air conditioning units. Test your air conditioner early in the spring to make sure it is operating correctly. Air conditioning units tend to act up when they are first fired up after a long winter. There are several simple troubleshooting tips for your Trane air conditioner to use before you need to call in the repairman. Keep your home and business running cool during warmer months. If your Trane unit is not turning on, check to see if a circuit breaker has been tripped. A tripped circuit breaker will not enable power to reach the Trane air conditioning unit. Check all circuit breakers, test and reset them if necessary. Make sure that the thermostat is set to cool and not heat. Your air conditioning unit will not turn on automatically if it is still set on its winter setting mode. Also check to see what temperature level the Trane air conditioning unit is set to to automatically cool the home. If the ambient air temperature is below the temperature that the unit is set, the unit will not turn on. Reset the thermostat if necessary. If your home is still not cooling check to make sure that both the outside Trane unit and indoor unit are running. If the outdoor system is not running, but the indoor system is, the system needs to be reset. Turn off the Trane air conditioner for one to three hours to allow the system to reset itself. Trane air conditioning units will not operate efficiently with dirty, clogged furnace filters. This causes excessive wear and tear on your furnace as it needs to work harder to cool your home. If the airflow is blocked, your home will not cool. If the furnace filters are clogged air flow will be restricted. Change the furnace filters and keep them clean to maintain efficient operating conditions. Remove all items stacked in and around the furnace to promote better airflow to the unit. Do not allow grass, weeds or litter to block the vents on your outdoor Trane air conditioning unit. Air flow on the external unit must not be restricted or the unit may not operate properly. Vacuum out any dead grass or debris that has collected in the Trane external air conditioning unit vents. Pull away, trim and remove any grass, weeds or debris around your air conditioning unit.